A new study suggests food addiction is a real and you can get addicted to various foods. Emmy Rossum ‘Day After Tomorrow’ actress admits that she has an ”addiction” to string cheese and loves to enjoy the dairy product with a glass of wine. According to the study, which was conducted at the University of Michigan, cheese is addictive because of an ingredient called casein, a protein found in all milk products. 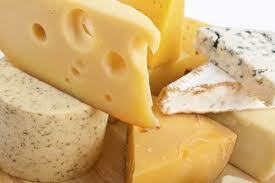 This is found in dairy products and can trigger the brain’s opioid receptors, which are responsible for addiction. Studies in animals have found that highly processed foods, or foods with added fat or refined carbohydrates, may be capable of triggering addictive eating behaviour. The researchers recruited around 500 people for two separate studies. In one study, people completed the Yale Food Addiction Scale, a questionnaire designed to measure whether you’re addicted to food. Then, those participants indicated which foods, out of a list of 35, they found the most addictive. In the second study, participants also completed the addiction questionnaire, and then rated each food on the list of 35 on how tough it is to stop eating it. Pizza topped the list of addictive foods, topping chocolate, chips, and cookies; cheeseburgers and just plain cheese were also rated as highly addictive. So what exactly makes pizza so alluring? The top reason is that it’s processed, and the second reason is that it’s packed with fattening cheese. The study’s authors predict that the higher the fat content in a food, the more addictive it is, regardless of whether you have a tendency to binge. since cheese is processed to express out all the liquid, it’s an incredibly concentrated source of casomorphins, you might call it dairy crack. Several studies have shown that eating small servings of full-fat dairy like cheese might reduce your risk of diabetes and high blood pressure. So eating everything in moderation is key to good health.